“I wanna save money and free myself from toxins and use one soap for everything! I also love making my own soaps using oils and this is a perfect fit for me!” – Mandana A. Thanks Mandana for the sharing your comments! You are saving money and your health. With pollution, mold, dander, pollen and dust filling the atmosphere at any given time, there really is nowhere we can hide from annoying allergies. They always seem to find us, and then they rudely invade our bodies and proceed to wreak havoc. Those annoying allergies cause our eyes to itch, noses to run, throat to swell, sinuses to drain and our moods to sour. It is certainly an understatement to say that allergies are not welcomed; however, we are forced to deal with them all year round. Conventional treatments for dealing with the symptoms of allergies include synthetic antihistamines, eye drops and nasal sprays. The trouble with those treatments is that most of them come with their own list of side effects that are just as annoying as the symptoms you are trying to get rid of. 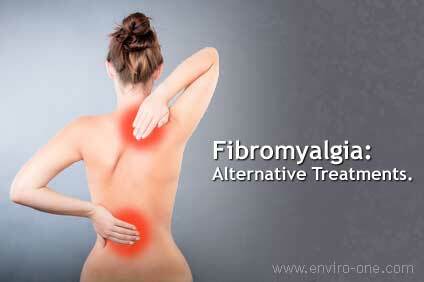 Nevertheless, there are alternative ways to reduce allergic reactions without gaining new symptoms in return. Clean with Natural Cleaners: It is especially important for those with sensitivities to clean with natural cleaners. Traditional cleaners are made with chemical formulas that can trigger allergic reactions. 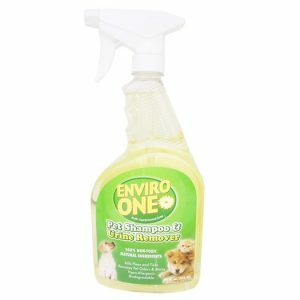 Enviro-One Multi-Use Green Cleaner has been proven to be the best alternative cleaner available. Purify your Indoor Air: Improving the quality of your indoor air can reduce and eliminate allergy symptoms. You can clean your air naturally by filling your home with houseplants, activated charcoal and Himalayan Sea Salt Lamps; these options naturally attract and absorb bacteria and other harsh toxins so you can breathe cleanly without irritation. Strengthen your Immunity: When your immune system is strong, you will be able to withstand allergy attacks and recover faster. You can strengthen your immunity by eating loads of fresh fruits and vegetables, juicing and detoxing. Nasal Irrigation: Natural Nasal irrigation with the aid of a Neti Pot and sea salt has been used for thousands of years to heal the inflamed tissues in the nasal passage while cleansing and relieving sinus pressure. Natural Allergy Relief: Natural supplements such as vitamin C, quercetin, zinc, Echinacea, vitamin b12 and raw honey all carry allergy fighting properties. For fast relieve, increase your intake when you feel an attack coming on. The best way to reduce allergic reactions is to build your resistance; the options above will allow you to do just that. Once you strengthen your immunity and fight back with natural aids, allergy attacks will be a thing of the past. Your pets are more than just mere animals, they have managed to worm their way into your heart and demand esteemed membership into your family. You love them, so of course you want them healthy and of course you want the Green, because that is what you are. It makes no sense to be eco-friendly alone; nothing will get done if you’re the only one making an effort. Being green is not an individual practice; instead, it is a lifestyle that encourages the participation of your family as well as your friends, community and yes, even your pets. Feed them All-natural Formula: Research should be done before you commit to a brand of food for your pet. Avoid low quality foods that contain wheat, corn gluten and unreadable ingredients. The food you feed them should come from all natural sources and should contain beneficial properties that will enhance their health and immunity. No Table Scraps: It becomes difficult to ignore the sweet stare of a begging pooch; however, feeding your cat or dog table scraps is an unhealthy habit to practice. Firstly, doing so can promote aggression. Also, certain foods can be quite dangerous for animals as their digestive systems differ from our own. Some foods to avoid include chocolate, bread, onions, tomatoes and citrus. Keep them Active: immobility encourages stiffness and shorter lifespan, exercise your pets by making them work; run up and down the stairs, throw balls or take them swimming. Buy Eco-Alternatives: There are eco-friendly alternatives to almost everything we use and that includes animal products. Buy pet beds made from natural fibers and zero dyes, biodegradable curbing bags, stainless steel food bowls and recycled collars. Dry Brushing: Dry brushing does much more than detangle fur and sooth itches, brushing your pets with a soft dry brush will promote circulation and balance the core. 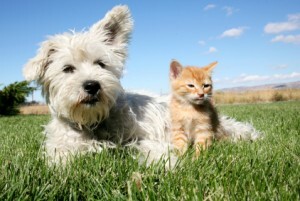 Natural Personal Care: Use all natural personal care on your pets whenever possible. Look for natural shampoos, oral care as well as natural flea and tick medication. Your pets may not quite understand your efforts, nevertheless when you take the time to selflessly include them in your lifestyle of health and sustainability, they will reward you with optimal health and years of sweet slobbery kisses. RezHub.com’s Green Travel Hub put together a top 8 list of Boston’s greenest hotels to help travelers plan a great green Boston vacation. Boston has a lot of nicknames: Bean Town, The Walking City, and The Cradle of Liberty are just a few. When RezHub.com’s Green Travel Hub found out that there were some great eco friendly hotels in Boston, MA and it was also known as the Hub of the Universe, they knew it would be the perfect candidate for their next feature green destination. So, RezHub.com’s Green Travel Hub put together a top 8 list of the city’s greenest hotels to help travelers plan a great green Boston vacation. Nestled right in the center of the Massachusetts coastline and bordered by a network of small rivers, Boston is home to some of The States’ best scenery. Visitors can take a whale watching tour in the Boston Harbor, visit riverfront parks, ice skate on the Frog Pond, or take a historical walk down the Freedom Trail. Green enthusiasts will love Boston’s easy access to public transportation, and these 8 Boston green hotels. Travelers looking for green travel to Boston will find these hotels a perfect fit. All of the following green hotels in Boston, Massachusetts have been awarded with a RezHub Green Score of at least 3/5 green branches. To see pictures, get more information, or find out exactly what each hotel does to earn their Green Score, visit RezHub.com or GreenTravelHub.com. For more tips on planning eco friendly travel to Boston, visit RezHub.com or follow any of the links below the list to see all of Boston’s eco friendly hotels. About RezHub.com: RezHub.com is the next generation of online travel, providing innovative research and reservation tools to the traveling public. It is their goal to ensure that you feel good about travel, especially when it comes to making the best choice for your trip. RezHub is a one stop reservation hub, where you will find everything you need to plan and book your vacation…without having to visit multiple sites. Here you will find many unique service offerings that set them apart from their competitors, but it is their commitment to their customers that will truly make you “Feel Good about Travel.” Visit http://www.rezhub.com or http://www.greentravelhub.com for more information. 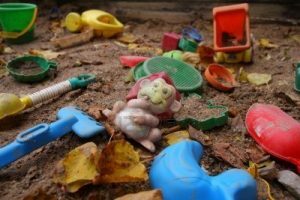 Do you know that what you use to clean your house with can pose serious danger to your children? 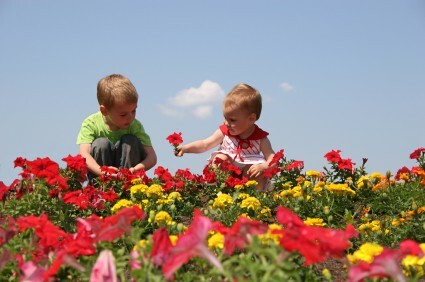 Accidental poisoning is the fifth leading cause of accidental death of young children. Because of their natural curiosity, children will open your kitchen cabinets and draws and have access to chemicals that can be fatal if swallowed. A couple of steps you can take to prevent your children from having access to these dangerous chemical cleaners is to place child safety locks on kitchen cabinets and doors or place them high and out of reach but the most important step you can take is to replace all of your potentially dangerous cleaners with natural green cleaning products. 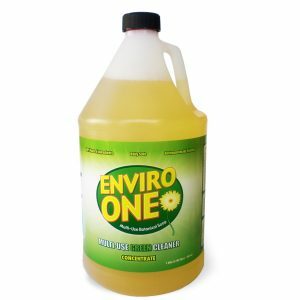 If you are like most Americans who have many different chemical cleaners for different cleaning jobs around the house, you might want to consider switching to a single natural all-purpose cleaner such as Enviro-One Multi-Use Green Cleaner. Enviro-One is first of all safe which means, if your child accidentally drinks it, the most you have to worry about is a couple of extra soiled diapers. This is far better than to have to deal with rushing your child to the emergency room because they swallowed some toxic chemical cleaner. Enviro-One is save but is also versatile. It has over 200 documented uses including, cleaning your floors, dishes, counters, bath tubs, sinks, laundry, fruit and vegetable, and carpet. It is also recommended for personal use including brushing your teeth and taking a shower. By replacing your dangerous chemical cleaners with Enviro-One, you can have peace of mind knowing your children environment has no toxic cleaners lurking in the cabinets. You can also feel good knowing that all you need is one cleaner. 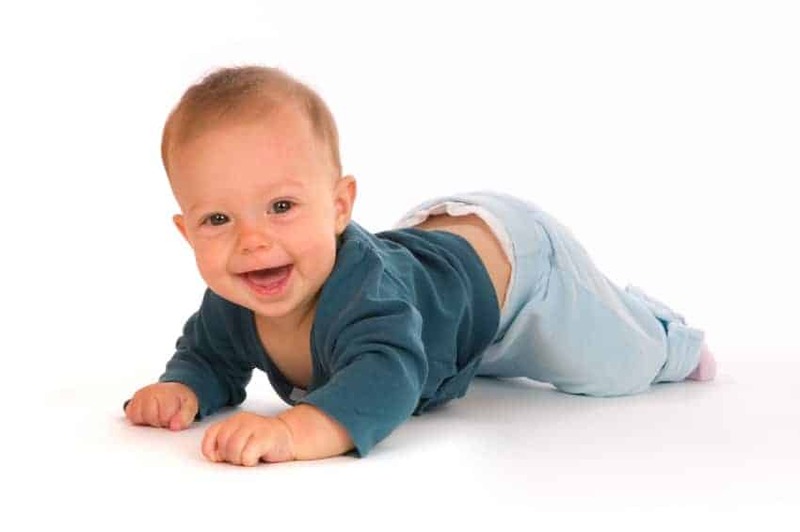 If you are looking for a product that is safe for your baby and your family, you may want to consider Enviro-One.com. FANS – (5:1) Remove protective grille, spray, let sit a minute, wipe. FARM EQUIPMENT – Follow manufacturer’s instructions, if any. Spray and wipe, scrub with stiff brush, if necessary. If an unpainted part needs to be cleaned or degreased, put 5:1 solution in a bucket or tub to cover part, immerse part in solution and let soak until it can be easily wiped clean. FABRIC – (50:1) See directions in this booklet for specific types of fabrics or types of stains. EXHAUST FANS – (5:1) Remove protective grille, spray, let sit a minute, wipe.